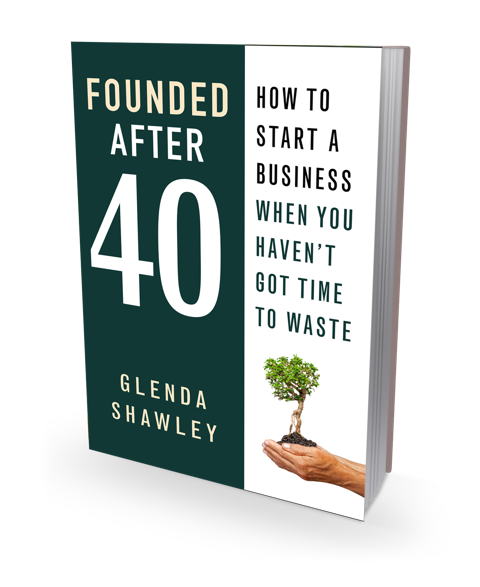 My new book is out now and is a highly practical guide to starting a business after 40. How to information is supplemented by experiences from current entrepreneurs and a downloadable workbook means you can work through your own business challenges without defacing your copy. The workbook becomes your business plan. Even though I have been running my own business for over 20 years I learnt so much from this book. What I loved about it is that the style was conversational and really got me thinking. It took me a while to read the book because it kept sparking ideas that meant I needed to think, write notes and take action before I went back to reading. I have already decided to go back through the book and download the parts of the workbook that I really need to complete. In my working life I often meet people who are considering leaving corporate life to start their own business and I have recommended this book as an essential first step to help them turn their dream into a reality.